Greetings from YFL!!! Happy MLK Day!!! 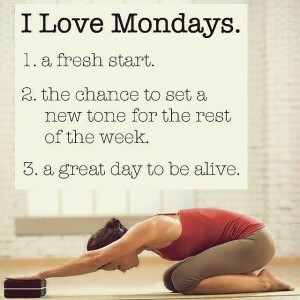 We are open today, and ready to welcome you back to your yoga mat!!! “Meet me at the Wall” is our theme for the week!!! We use the wall as our prop of resistance, alignment, and focus!!! Our mudra or hand gesture is the “Pran”, which promotes good vision, vitality, and self-confidence. Our Sanskrit focus will be “Rasa”, or “The Essence of Things”, and to “Delight in Life”!!! Remember, we have NEW CLASS OFFERINGS at YFL on Wednesdays!!! Nicole will be teaching “Intro to Vinyasa” at 12:30 and 2:30 p.m. Check our her Bio and Class Description on the website!!! Sophie will be teaching “Classic Hatha” at 6:00 p.m.!!! Kimberley Ann (Mama Gawdess), one of our Artistry of Yoga Teacher graduates will be offering “Reiki I Practitioner Training” on 1/28 from 10 a.m.-3 p.m. This training will provide you with powerful tools for illness, stress release, overall well-being, and relaxation for yourself, family, friends, and eventually clients. It compliments other healing modalities such as massage, essential oils, yoga, mediation). The cost is $111 + $20 for a detailed class manual, and other materials. To register call or text Kim @ 310-944-2505. Kim is a registered Yoga Teacher, Reiki Master, and Certified Life Guide. This entry was posted in Uncategorized on January 15, 2018 by Deb Potts.